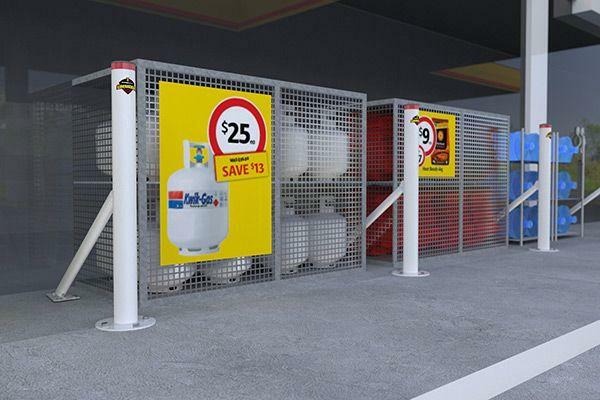 The Linebacker BR is a storefront protective barrier designed as a last line of defence when it comes to the safety and protection of shop front displays and assets against unintentional drive-through vehicle crashes. These are an ideal protective device for situations where surface mounting with very shallow fixing is required. 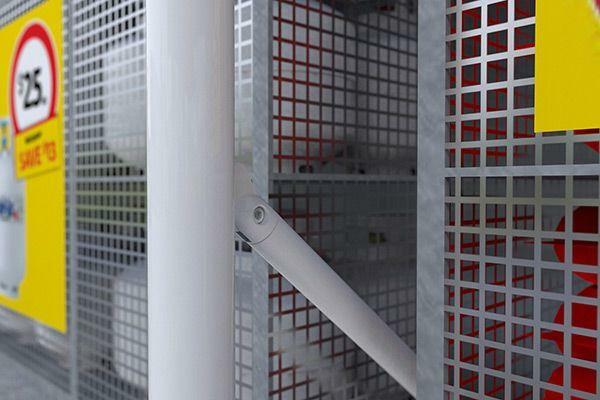 Twin base plates and diagonal bracing mean the BR is extremely strong, making it ideal for asset protection installations where the rear brace can be embedded within merchandising units out of the way of pedestrians. 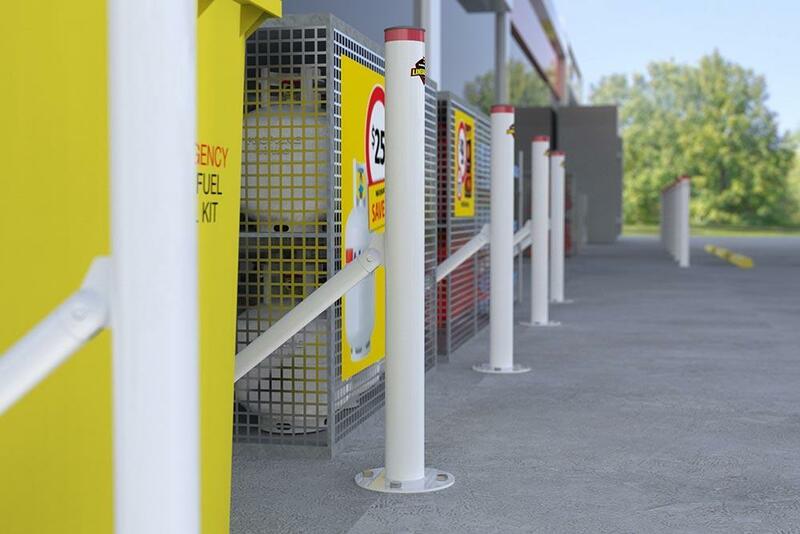 Unlike a conventional surface mounted bollard, loads are transmitted down the bollard and through the diagonal brace to the dual base plates allowing it to withstand heavy impacts. 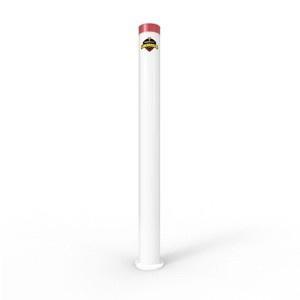 Much stronger than conventional bollards. No risk to underground services. Provides improved protection against drive-throughs. Hot dip galvanised and powder coated finish. 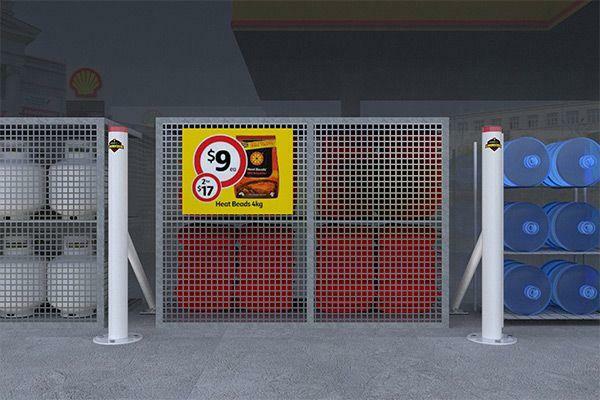 Embedment into merchandising units conceals brace. Can be installed on sloping or stepped ground. Note: All dimensions in mm. Finish: Hot Dip Galvanised (HDG) and Powder Coated (PC).